IoT malware and ransomware still on the rise, McAfee Labs report finds. The number of new malware threats grew significantly during the last few months of 2018 as criminals upped their hacking game, according to research from McAfee Labs. The firm reported finding 480 new variants every minute during the three months of Q3 2018, and new malware samples growing by 53 percent, showing the scale of security threats targeting consumers and businesses alike. 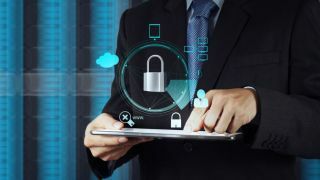 McAfee also found a major rise in malware targeting IoT devices as the number of connected products grew worldwide, with products often lacking proper security protection. The company reported new IoT malware strains growing 73 percent during the three-month period, as the total amount of IoT malware was up 203 percent over the previous four quarters. Among the other findings in the report were new ransomware strains increasing by 10 percent, illustrating the popularity of such malware strains, however McAfee says that the number of unique ransomware families continued to decline. “Cybercriminals are eager to weaponise vulnerabilities both new and old, and the number of services now available on underground markets has dramatically increased their effectiveness,” said Christiaan Beek, lead scientist at McAfee.